Even though certain people have not been diagnosed with ADD/ADHD, they may still have attention problems and thus need a bit of help to remain focused. Some people even look for cognitive enhancing supplements just as a brain booster to keep them on edge at all times. Although not the most popular product in the market of nootropics, Red Seal’s Ginkgo Brain Alert has gotten some pretty good reviews amongst customers. Curious to see what the hype over this product is all about, we decided to do our own research. Brain Alert is a simple product that contains 3 ingredients – Ginkgo Biloba, Guarana, and Ginseng extract. Even though complicated stacks may appear as more effective and reliable, the opposite actually applies sometimes. An effortless combination of 3 ingredients allows each compound to work effectively, which makes the product very potent. So let’s see what Brain Alert is all about. Red Seal does not practice any unethical marketing schemes. Their product is only available online, via their official website or HealthPost.co.nz. Ginkgo Biloba increases oxygen levels and enhances blood circulation in the brain, which allows enhanced brain function, more effective neurotransmission communication and improved memory recall. Guarana increases mental alertness and focus. Ginseng helps reduce anxiety levels and allows our brain to feel ‘rested’ after working for long periods of time. Two of our members tried Brain Alert myself and in doing so, they had no idea what to expect. Even though they did not feel more ‘in the zone’ or ‘mentally boosted’, they did experience higher focus. They felt normal, but at the same time less tempted to check Facebook or Instagram every 10 minutes. The focus lasted about 3-4 hours before they noticed that they were back to their regular state. Fortunately, there were no side effects as well. A bottle of Red Seal’s Ginkgo Brain Alert contains 30 capsules and costs NZ$10.81 or US$6.79. Depending on whether you need to take 1-2 capsules per day, the bottle could last 15-30 days. This is possibly the cheapest price we have ever come across, which initially made us suspicious about their formula. However, they have disclosed their entire supplement facts sheet along with the dose of each substance. Considering the product only contains three compounds, production costs were probably very low, which allows them to sell each bottle as such a competitive price. 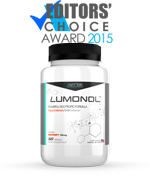 Under a tight budget and looking for an effective focus and memory booster? 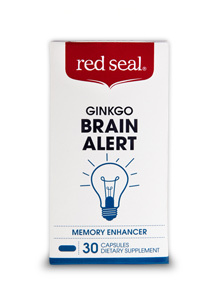 Red Seal’s Ginkgo Brain Alert may be the perfect solution for you. Even though the product may not give you amazing results, it definitely will keep you concentration for longer periods of time. As long as you’re not expecting the NZT-48 pill from Limitless or an energy booster that will give you a strong kick, we can almost guarantee that you’ll be pleased with your purchase of Red Seal’s Brain Alert.